iPhone Keeps Rebooting? Make it Stop! It is a pain to see that your favourite iPhone reboots on its own and with no reason. In fact, in this case the iPhone shuts down not just once but a number of times, making it quite obvious for anyone that this is a big problem and one that needs to be resolved immediately. 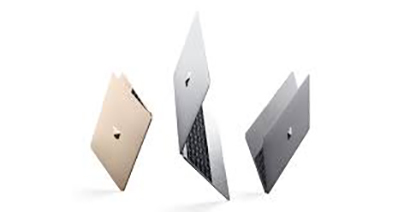 The first thought that runs through our mind is to take the damn device to the nearest Apple store and get it replaced if possible. But, what if this problem is occurring on an old iPhone of yours that cannot be replaced? Well, before you get all panicky and worried, let us take a quick peek at what could be the reason behind this issue. In our study, we have only found one predominant reason and that is upgrade to the latest iOS, mainly the version of iOS 8. 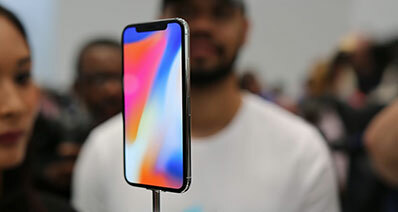 Somehow, upgrading your old iPhone's operating system to the latest version has been found to have triggered this issue for most of the users we interacted with. 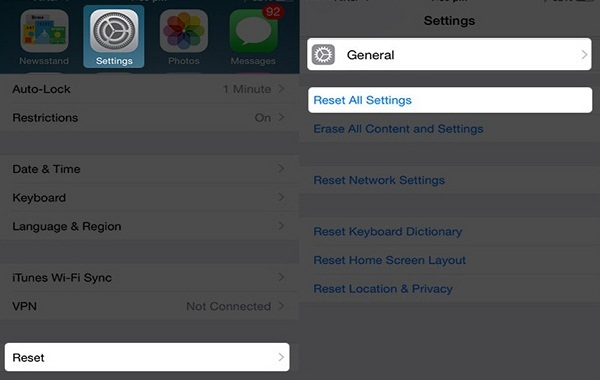 In any case, there are a few ways you can fix the iPhone keeps rebooting issue. Take a look at these as given below. The simplest of the ways to resolve the rebooting issue is to see if turning off the mobile data on your iPhone and then turning it back on can fix this issue because believe it or not, this method has indeed worked for many. 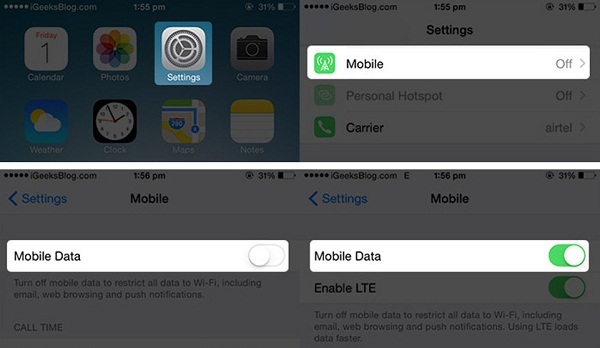 Go to Settings > Cellular / Mobile > Turn On / Off Mobile Data. To do this, simply press the Sleep and Home buttons simultaneously for a few seconds. 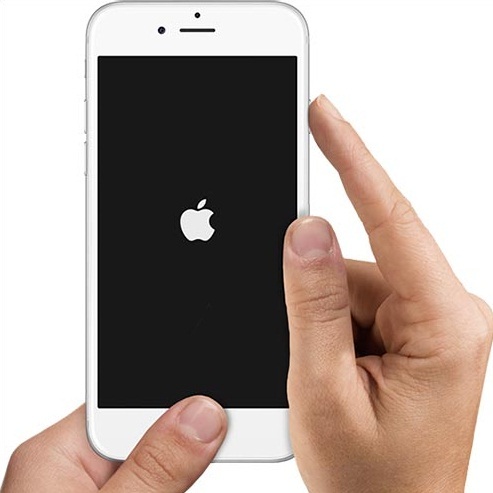 Once the iPhone logo has appeared on your screen, the reboot is done. This is also a very simple to do process, just go to Settings > General > Reset > Reset All Settings. 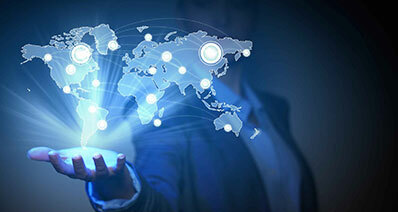 Note: You stand to lose out on your data and any customization done on your iPhone using the above process. We recommend iSkysoft Toolbox - iOS System Recovery for fixing your iPhone related issues as it is highly efficient and 100% safe. It allows you to recover close to 18 types of lost files and also repair the OS on your iPhone. With multiple ways of recovering the lost data on your iPhone, this software is a must have for all iPhone users. We are going to tell you how to use this wonderful application in simple and easy steps as given below. 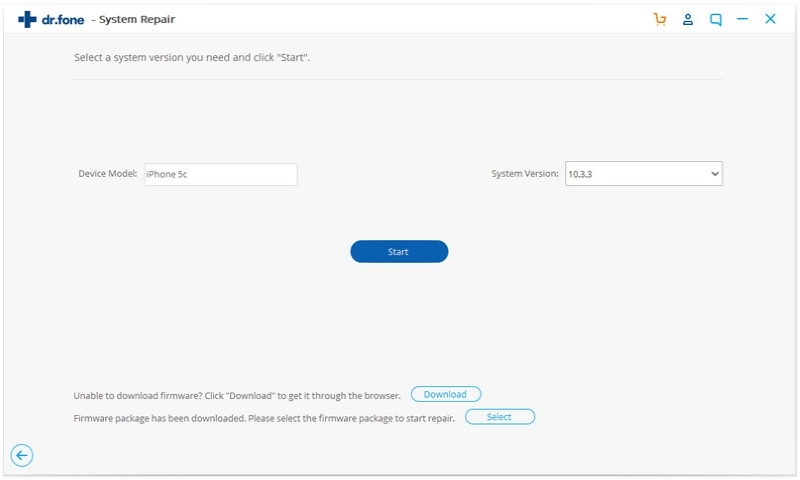 Launch the iSkysoft application on your computer and select "System Recovery" from the menu on main interface. 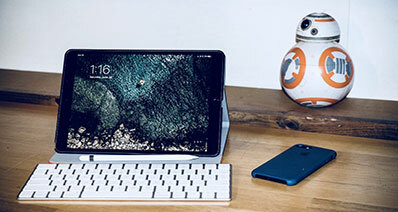 Connect your iPhone to the computer now and let the tool detect it. Once the application has displayed your iPhone, click on the button "Start" to begin restoring your iPhone. iSkysoft Toolbox - iOS System Recovery will now display the latest iOS version available for your device. Simply hit the "Download" button to get the firmware for your iPhone and let the application keep repairing your device in the meantime. 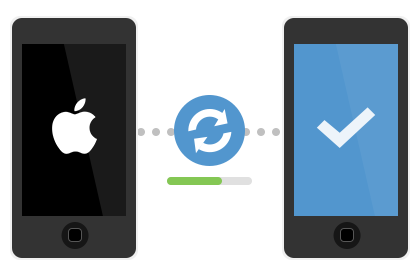 Once the repair and restore is over, the tool will automatically confirm that your iPhone is about restart. All this should only take a few minutes. 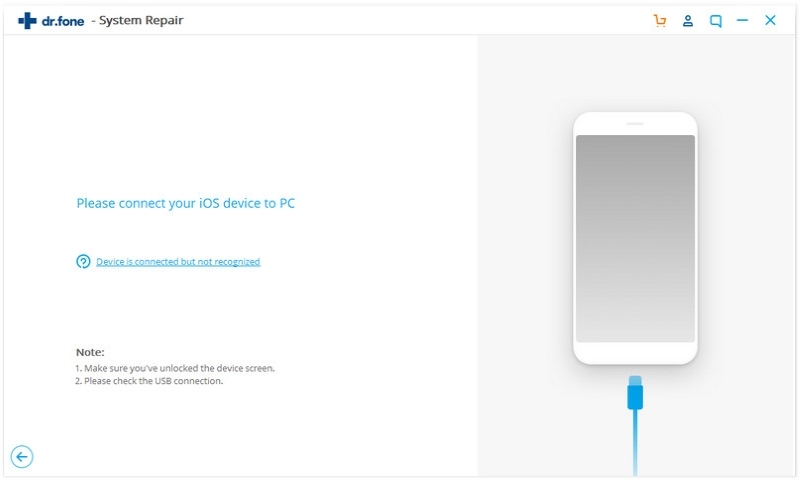 Using the iSkysoft application and the methods involved as given above, you can now not only fix the rebooting issue of your iPhone but also ensure that any data lost during the process is recovered with absolute ease and no challenges.